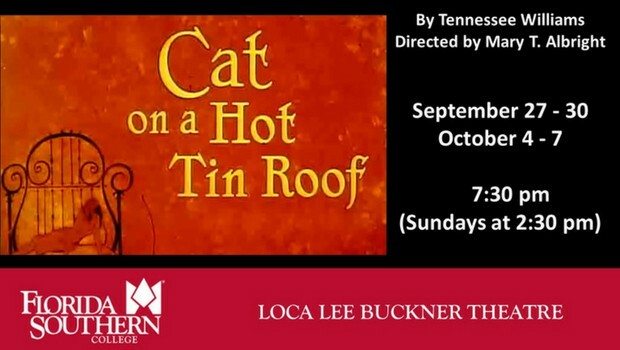 Cat on a Hot Tin Roof explores the greed, suppressed desires, and desperate hopes for the future of a southern family in crisis. Set in the Mississippi Delta plantation home of Big Daddy Pollitt, the play examines the relationships among members of Big Daddy’s family, including his son Brick and his wife Maggie (the cat). At this family evening gathering, you will be swept up in inevitable activities and dialogue as the family squabbles in desperate attempts to secure the family inheritance.